Thinking about internships, summer jobs, graduate school and the future can easily become overwhelming. 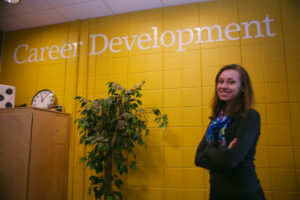 Capital has many resources to help students prepare for the future, and one of them is the career development office. 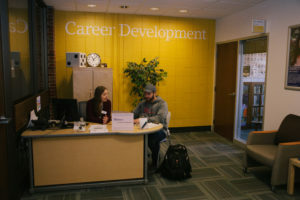 Located on the second floor of Blackmore Library, Career Development is easily accessible. It’s designed to help a variety of students. From students declaring their major to students looking for work after graduation, they’re here to help. Career Development is divided into three sections: career planning, recruitment, and graduate and professional school. The career planning section is intended for students that are undeclared or changing majors. It’s also helpful for students that don’t know what they want to do. Eric Anderson, director of Career Development, said that it’s great for students who know what major they want but don’t know what they can do with that major. He also said it’s great for students that know what job they want to eventually get but don’t know what major will help them get there. “It’s also about learning about yourself, your own interests, skills and what you’re drawn to,” Anderson said. The recruitment section is all about getting students jobs. Career Development will review and offer suggestions to students’ resumes and cover letters and help students with their interviewing skills. They also connect students with employers, as recruiters will reach out to Career Development in hopes of hiring Capital students. 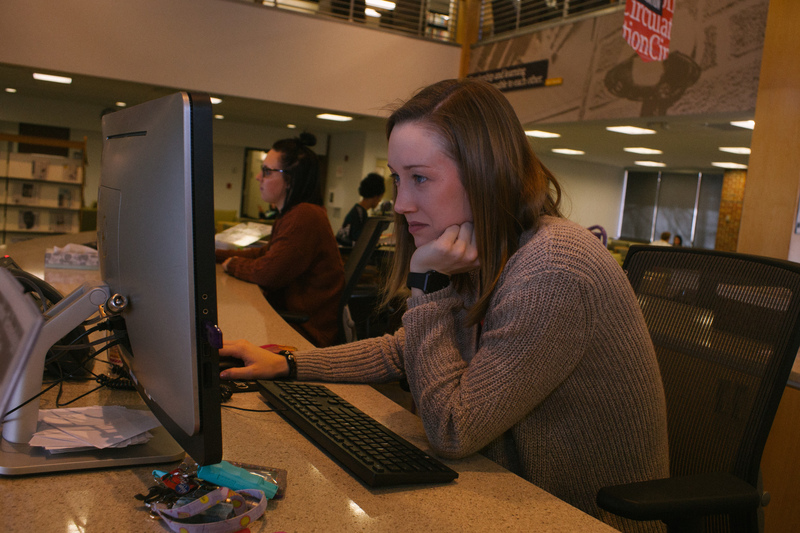 “It’s kind of about jobs and internships, but it’s also about helping students discern their career plan,” Anderson said. Internships and part-time jobs will teach students what career will be a good fit for them. The graduate and professional school section is designed to prepare students for the transition from college to their next step. Career Development will talk students through their options post-graduation. They’ll also assist in job searches and in filling out applications for graduate school. If any students aren’t sure whether they want to go to graduate school or go straight into the work force, Career Development is around to help. Anderson said he wants the students to keep in mind that many grad schools start accepting applications as soon as students finish their junior year. Some application deadlines are as early as September of their senior year, and most are in November or December. If a student is looking to go to grad school, they need to start planning for that as juniors or earlier. Career Development doesn’t just help students in their office; they offer resources online as well. The website that students used to know as Crusader Careers is now CapitalJobline.org. There, students can search for jobs related to their field of study or for other kinds of work. Capital’s website also has a section for Career Development under Services and Programs. There, there are documents about choosing a major and a career, and there’s an interviewing guide. For students that are looking for internships, there are lists of internships that Capital students have held in the past under each major of study. Career Development is trying to create an easier way for students to get in touch with recruiters. Starting around March, they plan on having “Summer Job Tuesdays” in the student union lobby. They plan on having recruiters from similar organizations, such as summer camp jobs, there on the same days. The recruiters will be there for successive Tuesdays and students can go on the days that have recruiters from organizations that they’re interested in. Anderson also said students should check the website for upcoming career fairs, where students can meet multiple recruiters about job openings. There will be one from 10 a.m. to 2 p.m. this Friday, Feb. 2 at the Ohio Expo Center in Cardinal Hall.